Body hair is rooted in two divided camps: those who have embraced their natural growth and others who try every means possible to remove those pesky tendrils. Bella Thorne posted a photo on Snapchat where she was shown licking her underarm hair. The message was a clear blast to anyone who tried to shame her for daring to grow out what we normally remove. Love the furry look or hate it, we all have body hair. Whether we choose to embrace it, grow it out or remove it with every tool at our disposal, hairiness is our natural mammalian feature. For those that want to get rid of it, though, the means to remove the unwanted body hair can be downright painful…and dangerous. Plucking, waxing, laser removal, and tweezing all can harm our sensitive skin. While, yes, we might want smooth, baby-soft skin, torturing those hair follicles is no way to achieve a silky smooth complexion. 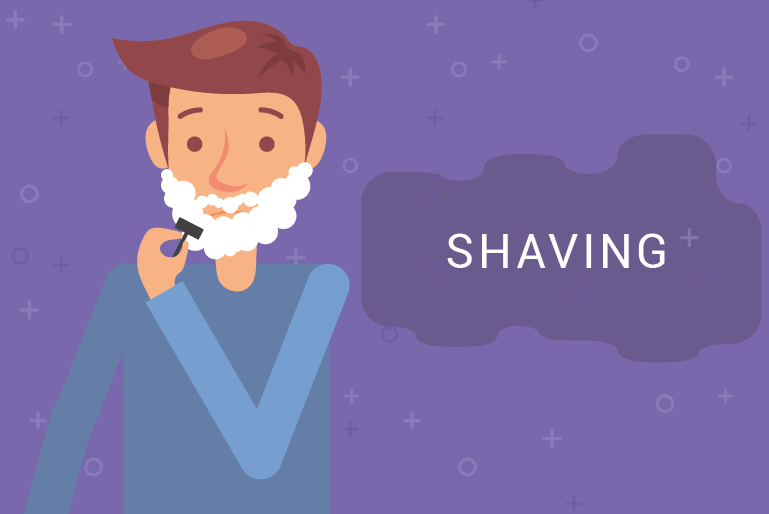 If you’re spending your summer nights with hot wax, a pair of tweezers, or hair-removal cream, you could be doing more harm than good in your plight for hairlessness. 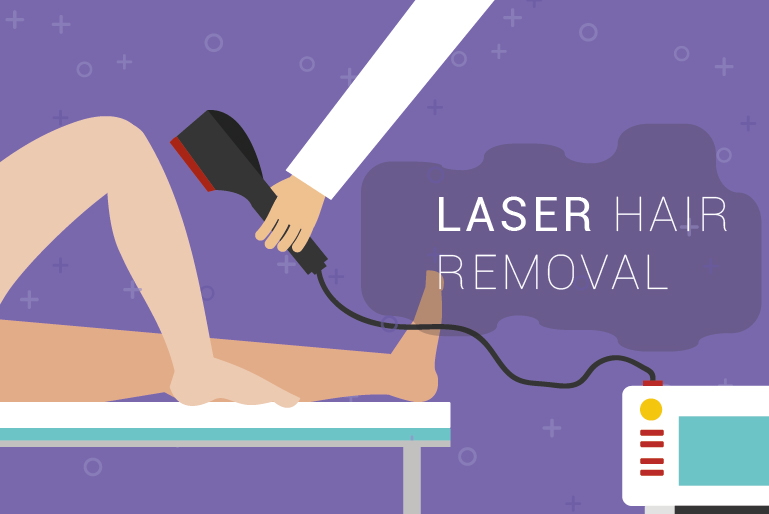 The permanence of laser hair removal is its ultimate appeal, but what many don’t know is that those laser removal procedures can go horribly, horribly wrong. The issues of laser hair removal don’t just deal with your skin, but your body as a whole. According to an article in Elle, a recent study by Gary S. Chuang, a dermatological surgeon, found that laser hair removal emits numerous harmful chemicals into the air. While the article in Elle pointed out that doctors are most at risk, the idea of anyone breathing in chemicals from the destruction of hair (and possible bacteria) is more than a little unsettling. An article by Roni Caryn Rabin in The New York Times noted even more risk factors. When wielded by the wrong practitioner, a laser hair removal procedure can cause severe burns, injuries…and, in rare cases, death. 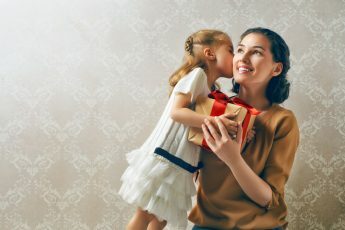 In her article, Rabin interviewed Dr. Tina Alster, who is the founding director of the Washington Institute of Dermatologic Laser Surgery and also a clinical professor of dermatology at Georgetown University Medical Center in Washington, D.C. While all cosmetic laser procedures carry a risk, patients should find a doctor with experience in dermatologic laser surgery. Be diligent and research practitioners. Don’t trust your face and body to just anyone. 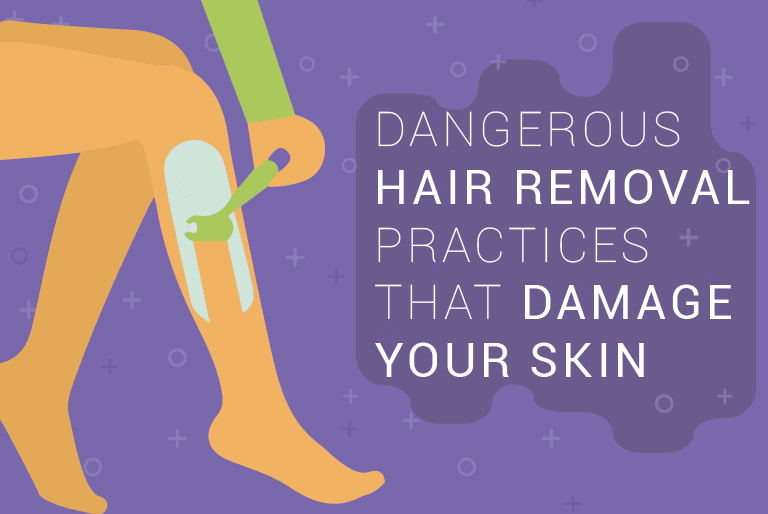 While not as dangerous as a laser, hair removal creams (or depilatories) carry their own potential hazards. 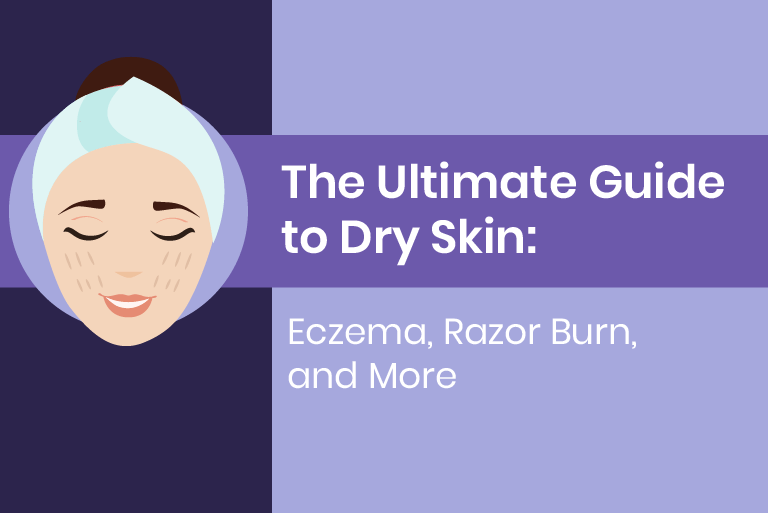 Yes, those creams are cheap and convenient, but, hair removal creams aren’t always effective at removing hair and they can damage or irritate your skin. In the 90’s, barely-there brows were all the rage. Armed with a sharp pair of tweezers, hairs were plucked one by one to create the perfect skinny brow. The caveat was that those hairs didn’t always grow back. And decades later, the tweezing trend has left bald spots in brows. Tweezing removes the hair by the root. 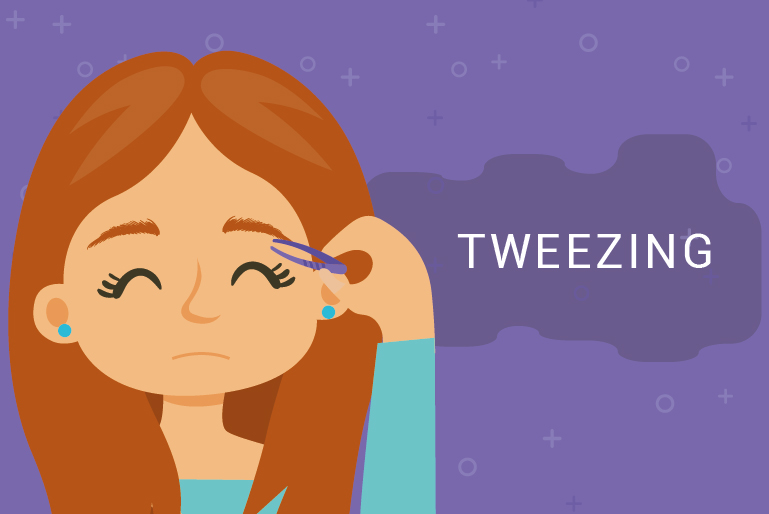 While tweezing is an effective form of hair removal, be very cautious when wielding tweezers. Not only does overzealous plucking leave permanent bald patches in brows (or other areas), but the procedure also may cause ingrown hairs and leave an area with bumpy, painful pimple-like blisters. Use tweezers only for the occasional one-off hair removal…like the annoying long hair that sprouts in a random area. Invest in a good pair of tweezers when removing the hair, and be sure to disinfect skin and tweezers with witch hazel or rubbing alcohol before and after tweezing. Also, don’t forget to use something to soothe the area when you’re done. Waxing hurts. The procedure is enough to induce tears, and yet it remains an extremely popular way to remove those pesky hairs in the bikini area, brows, and upper lip. However, it’s the bikini area that requires the most caution. When entrusting anyone to smear hot wax on your most sensitive region, it’s important to be diligent in finding the right spa and the right professional. According to an article by Emma Kaywin over at Bustle, there are many risk factors to ridding the bikini line of hair with hot wax, and not all of these risks have to do with the procedure. Hair protects the skin…it’s like a furry shield. And in the bikini area, hair works to keep away bacteria. Removing the hair also can cause irritation, which increases the risk factor for sexually transmitted diseases. Open wounds (however minute they may be) are open windows for viruses and bacteria to enter the body. 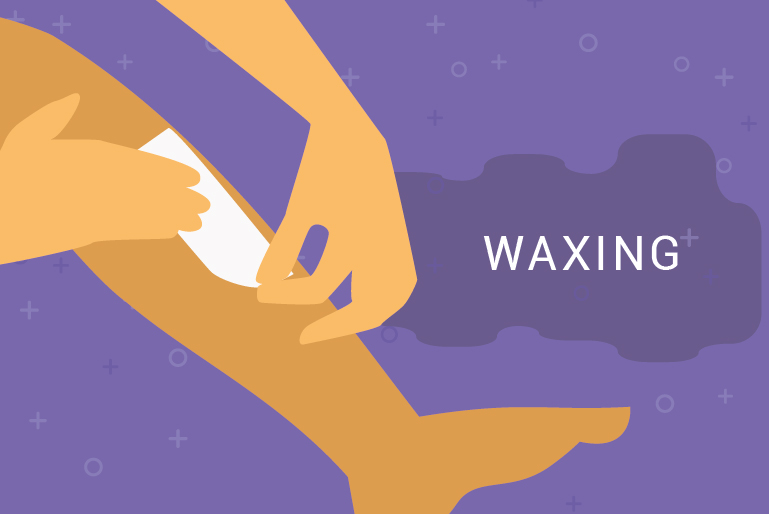 Kaywin’s article also explains that the waxing procedure isn’t without risk. Hot wax can lead to burns and even scarring, and ripping out those hairs may cause painful (and gross!) ingrown hairs. Most men and women still opt for the most tried and true form of hair removal: shaving. However, of all the hair removal options available, shaving is the least effective at keeping hair away. While tweezing and waxing removes hair by the root—and lasers remove it permanently—shaving just cuts off the hair at the base. Shaved hair will grow back pretty quickly, so within a day, those stubbles are back and need another pass with the razor. While shaving is only a short term solution, at least it’s fairly safe. However, as with other hair removal techniques, there is still a risk for injury. With shaving, cuts are the most common injury…and sometimes those lacerations can be serious. To avoid cuts and irritation, make sure the blade is fresh, as dull blades cause more nicks. Use razors with more blades for a closer shave, and don’t try to save money by buying a cheap razor at the dollar store. A close shave requires a lubricant. Coconut oil has become a favorite among beauty enthusiasts, but soap and shaving cream also works. Never dry shave, and be sure to shave with the hair…never against it. Always moisturize the skin after shaving to prevent irritation. Every hair removal procedure has some degree of risk. Whether you wax, tweeze, opt for the permanence of lasers or DIY with creams, proceed with care. Always turn to a licensed professional when a laser is involved…or hot wax. Invest in your skin, and remove hair safely and under the care of a professional. Or channel Bella Thorne and go au natural.